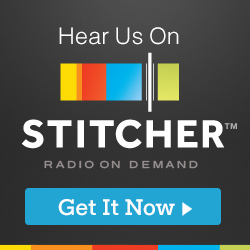 Written by Scott Bogen of The Board Game Show. 7 Wonders is the wildly popular card game by Antoine Bauza, and a game my group returns to time and time again. That’s why my excitement for the upcoming two-player version of this game — 7 Wonders Duel — led me to read the rules recently. I wanted to find out if this new game will reflect the excellence of its predecessor. In order to successfully translate 7 Wonders into a game for two players, I think it’s important that Duel maintains a strong connection to the core game. I still want to feel like I’m playing 7 Wonders, but in a way that recognizes the unique demands and balance that a two-player version requires. How does 7 Wonders Duel handle card drafting in a two-player game? How will the game handle the military conflict that’s resolved at the end of each age? With just one other player, how will the game address the potential scarcity of resources? Will 7 Wonders Duel keep the scientific symbols set collection for the sometimes massive victory point bonuses in 7 Wonders? Are there any other marked differences between the two games? One of the primary game mechanisms in 7 Wonders has each player simultaneously choosing a card from his hand and then passing the hand to his neighbor. While this could be done in a two-player game, the idea of returning to the same hand with every-other selection doesn’t seem as engaging as watching your initial hand get passed to two or more players before returning to you again. 7 Wonders Duel handles this beautifully by using a new way to draft cards. Before each age begins, the cards are randomly laid out in a predetermined configuration. Some cards are face up, and some are face down. On your turn you draft any face-up card that is not covered by another card. After selecting a card, you turn over any face-down card that is no longer covered by another card. Before each age begins, the cards are randomly laid out in a predetermined configuration. An interesting strategy I see developing is “mining” a path to preferred cards that are buried deeper inside the layout, while not drafting cards that may lead to a card your opponent may need. How will the game handle the military conflict phase that’s resolved at the end of each age? In 7 Wonders, players compete against their neighboring opponents at the end of each age, with progressively more points awarded to the winners of these conflicts as the game goes on, while losers are penalized with a “-1” token. A one-on-one military conflict handled in the same manner may not be as enjoyable and could devolve into an all-encompassing focus of game play. Again 7 Wonders Duel has a unique solution that allows warmongers to continue warmongering, but appears to strike a nice balance with the game’s other paths to victory (see below). In place of resolving military conflicts at the end of each age, a military track is used as an ongoing measurement of military superiority. The track spans 19 spaces over nine zones, with each end representing each player’s capital. Simply, if I draft a card with one or more shield symbols, I immediately advance the conflict token an equal number of spaces toward the enemy capital. Sometimes this movement will grant victory points or trigger the loss of coins by your opponent. Whatever the case, I see this track as a terrific way to depict the ebb and flow of military might between two opposing players. In fact, one of the game’s victory conditions is an all out military victory. If you manage to push the conflict token all the way to your opponent’s capital, you win the game! In a game of 7 Wonders you always have two neighbors from which to buy resources. With only two players, how is the acquisition of resources handled and balanced? You will still be able to buy resources from your neighbor in 7 Wonders Duel at a cost of two coins, plus the number of symbols of the same resources produced by the brown and grey cards of the opposing city. For example, if I need to buy two clay, and my opponent has three of them, each of my opponent’s clay are worth five coins each [2 + 3 (the number of clay she has)]. I would pay 10 coins for two clay. But instead of handing over the 10 coins to my opponent, they go to the bank, which is another difference between the original game and Duel. If neither of you own the resource, the cost is simply two coins. We’ve all played a game of 7 Wonders when someone pulls out a win with the extraordinary number of points generated by green science cards and symbols. This has evolved into an obvious path (or at least a reasonable strategy) to achieve victory in 7 Wonders. In 7 Wonders Duel players have seven different science symbols to collect (instead of three), and each set of two results in an immediate benefit — you get to choose one of five progress tokens that were randomly selected at the start of the game. Each token confers a unique benefit. Aside from collecting two-symbol sets, if you are the first person to collect six different scientific symbols, you win the game! An additional distinction I wanted to point out has to do with the wonders themselves. Gone is the single wonder per person sectioned off into various stages. In its place are four wonders per person (drafted before the game begins), each of which can be built by tucking a card below it (face down), such as in 7 Wonders, providing you have the resources to afford it. When the seventh wonder is constructed, that’s it. No more wonders can be built. In other words, if you really like the potential rewards of building all your wonders, you’ll have to race your opponent for the privilege. Only one of you will be able to build all four of them. Finally, if by game’s end neither player has achieved military supremacy by advancing the conflict token to his opponent’s capital, or neither has achieved a scientific victory by collecting six different symbols, the game comes down to victory in a manner consistent (mostly) with the original — victory points. 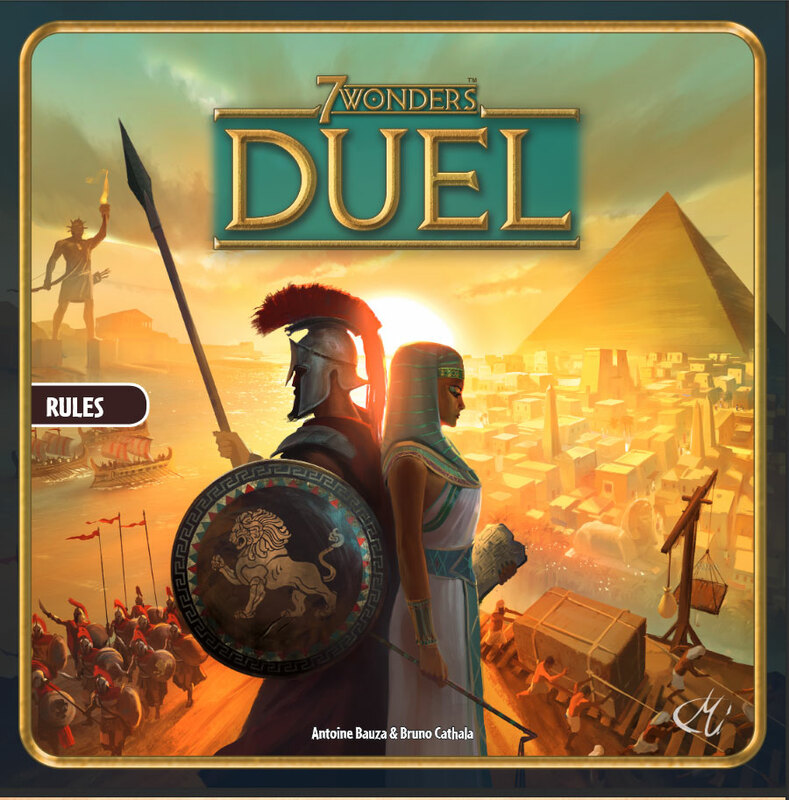 Upon reading the rules for 7 Wonders Duel, I’m anxious to get my hands on a copy. Everything feels familiar about this two-player game, and that’s a very good thing. I think this is going to be an outstanding addition to the 7 Wonders franchise that will play differently enough to be worth buying, but familiar enough to feel like the outstanding game I believe many of us consider to already be a classic. When is the street date for this game? Coolstuffinc.com and my local game store both have it listed as “November 2015.” I think — and hope — it’s coming soon!